Flat Lay Of Ice Cream On Stick And Palm Leaf Made Of Paper Minimal Summer And Sweet Food Creative Concept. Fotos, Retratos, Imágenes Y Fotografía De Archivo Libres De Derecho. Image 118588678. 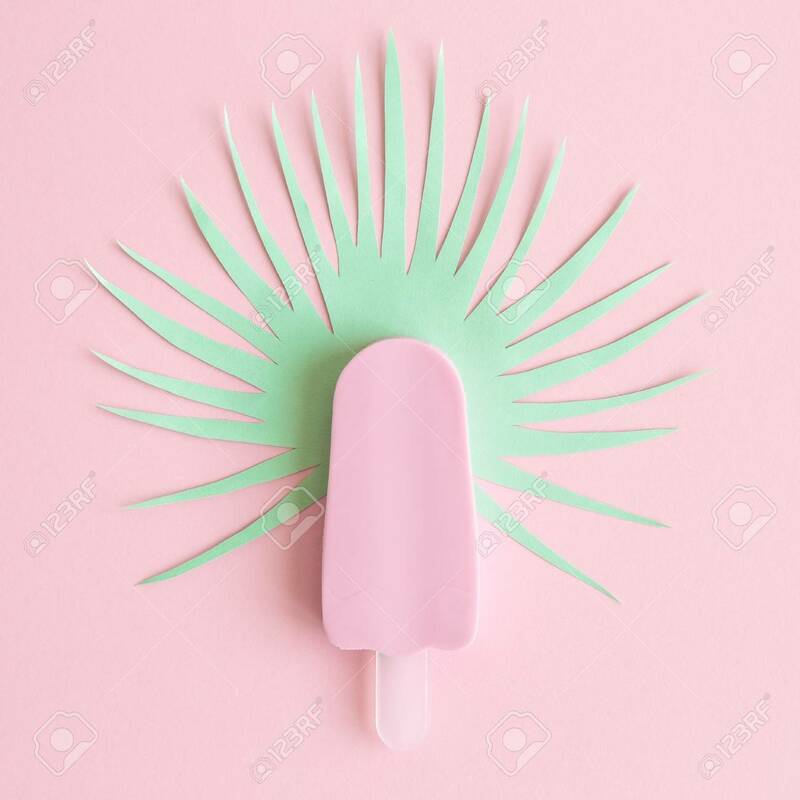 Foto de archivo - Flat lay of ice cream on stick and palm leaf made of paper minimal summer and sweet food creative concept. Flat lay of ice cream on stick and palm leaf made of paper minimal summer and sweet food creative concept.